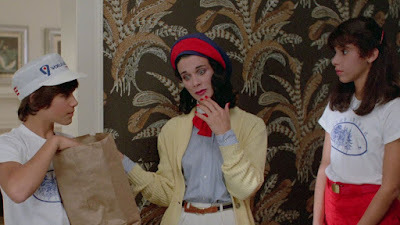 Raz's Midnight Macabre: "ANGELA: THE OFFICIAL SLEEPAWAY CAMP DOCUMENTARY" NEEDS YOUR HELP! "ANGELA: THE OFFICIAL SLEEPAWAY CAMP DOCUMENTARY" NEEDS YOUR HELP! For those who have read my posts before you'll know I'm a HUGE fan of the "Sleepaway Camp"" series, so when the news came out about this retrospecrive documentary you can imagine my excitement! I am seriously stoked for this release and I know there are a few of you out there that will be too! It's about time this series got some recognition an I'm thrilled it's finally happening. So do you want to get involved and help this amazing project? Then head on over to the IndieGoGo page HERE and see how you can help out!